Sew Inspired: Placemat Quilt Swap Arrived! I decided to sign up for Placemat Quilt Swap 5 a few weeks ago, and got the mini quilt I made for my partner sent off this week. I'll show a picture of it here as soon as I hear that it's arrived safely...but meanwhile, the one she made for me arrived today! I also finished up my quilt for the We Love Jenny Auction, which is taking place on February 14-15. The auction will be raising funds to help Jenny Reeder with her medical and housing expenses while she is fighting leukemia. Check out the donated items at the auction blog and see if there's anything you're interested. 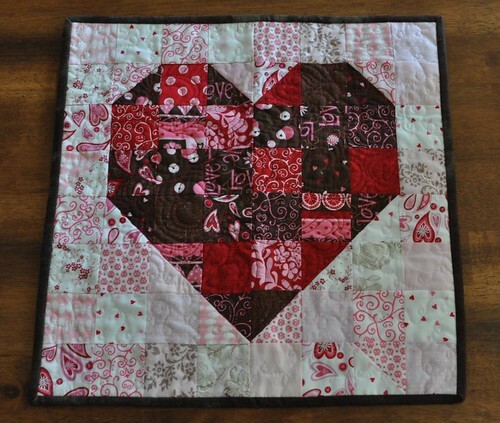 I had fun with the quilting inside the heart--I got some good ideas from Leah's Free Motion Quilting Project blog. 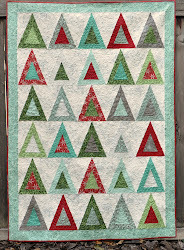 If you are a quilter and are at all interested in improving your free motion quilting skills, you should subscribe to this blog. I hope you're having a good weekend! 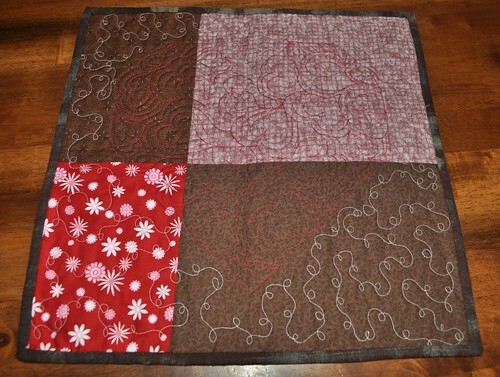 I have 4 quilt blocks for my boy's monkey quilt cut out and ready to sew so I might do that tonight. I also helped my 6-year-old set up a blog. He hasn't written his first post yet but I think it might be really cool (and fun and funny) when he does. Ooh! 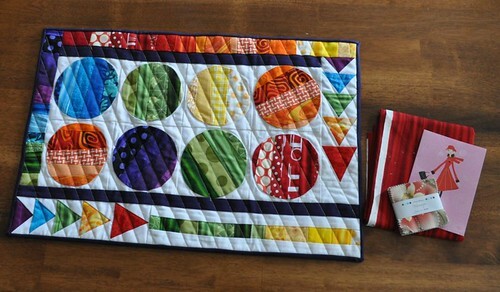 Love that bright cheery quilt! Make sure you send the Grandparents the link to JBC's blog.